← MUSICAL MUSINGS | The weekend aftermath, my top 21 + help me predict Andra Chansen! SUPER SATURDAY #5 | Guy Sebastian, O-M-Germany and Andra Chansen predictions! 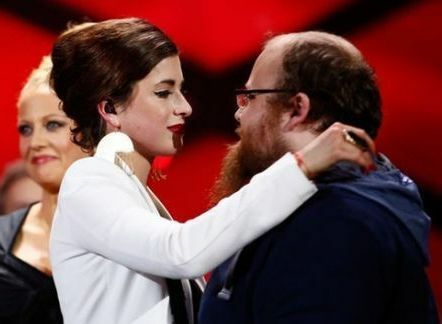 Well, well, well…what a big, controversial week it’s been in the Eurovision-verse! After Eduard Romanyuta’s questionable win in the Moldovan final last Saturday (Belarus and their completely-legit-for-once NF are seething with jealousy) we had a) Australia announce the artist we’re sending to Vienna, a choice met with a whole lotta negativity; and b) the winner of the German final decline the ticket to Eurovision on live TV. Forget about Days of Our Lives – selection season is where all the drama’s at this year. I’m going to be giving my verdict on said drama right here, right now. I’ll also be revealing the results of the Andra Chansen polls you guys voted in to help me predict tonight’s Melodifestivalen qualifiers. Believe me when I say that I needed all the help on the planet (not that I got all the help on the planet, but I got a decent amount, and I’m very grateful. So, yeah. Thanks). But first, let’s take a look at the upcoming events on the ESC calendar. With three events taking place this evening, we’ve arrived at the penultimate Super Saturday in the lead-up to Eurovision 2015. Enjoy it for Portugal, Sweden or the UK – or perhaps all three – while it lasts! …and what shocking news that is. Since when did we all not agree on absolutely everything concerning Eurovision? Since FOREVER, that’s when. But quite frankly, I’m appalled at the negative reactions to Australian Idol’s first winner Guy Sebastian being announced as Australia’s representative. It’s amazing how quickly people can change their tune when they don’t get what they want. Guy wasn’t at the forefront of my mind as I waited for Julia Zemiro and Sam Pang to quit stalling and just tell us who it is, goddammit, on Thursday morning. But once Guy did walk out in his triple-denim ensemble (which he was totally rocking, by the way) I felt both relieved and excited by the choice. In front of the waiting press stood an artist who had risen to fame through a TV talent show back in 2003, and had managed to sustain his popularity and success all this time via album releases and arena tours, plus a three year stint as an X Factor judge. There, he mentored two winners in a row, no doubt drawing on his own experiences to guide them. Sure, it was clear during the press conference that Guy was no Eurovision expert, but he’d done his homework. And, since he had accepted the offer to participate and clearly saw it as an honour (which it bloody well is!) we know he’s viewing this as a positive career move – but, as he stated, it’s much more that that. It’s a chance for him to be a part of something special and represent Australia on an international stage. As an Australian Idol tragic from way back, I will be proud to wave a flag – or a placard reading ‘GO THA FRO!! !’ which you’ll understand if you’re a fellow Aussie – for Guy come May. I remember being a 12-year-old reality TV fan, watching him warble his way through week after week on the show, never putting a foot wrong. I also recall voting (more often than I should have at $2 per phone call) for him to win the comp over bloke’s bloke Shannon Noll. He did, and shortly afterwards he was off to London to fly the Australian flag in the World Idol competition (which was my first taste of anything remotely ESC-like, and I LOVED it). He didn’t exactly set the scoreboard on fire there, but I wasn’t too bothered since I was busy lamenting the last place of Dutch Jamai Loman. I wasn’t to know that seeing the Netherlands’ entry fail miserably would be good prep for my future as Eurovision freak. Fast forward to 2015, and it’s clear that the World Idol experience didn’t affect Guy negatively. In fact, it probably prepared him for Eurovision as much as something un-Eurovision related could. He’s released seven top 10 albums in Australia – two of which topped the charts – and had seven #1 singles. His 2012 single Battle Scars, featuring Lupe Fiasco, charted in Scandinavia and the US, and scored the duo a performance slot on The David Letterman Show. Not too shabby of a career, is it? And yet many people – including a lot of Australians – couldn’t be outraged fast enough by his selection as our ESC artist. They were also quick to compose articles detailing the many acts who would be ‘better for Eurovision’. Real classy, guys. Don’t give the man a chance to pick out and premiere his song or anything. Don’t wait for five minutes until he’s tested it out at Eurovision in Concert, or until he begins rehearsals in the Stadthalle and we see how the staging and song come together – just slag him off now because he’s not your ideal representative! That was sarcasm, in case you were unsure. We all had preconceived ideas of who would be the most suitable choice, and no matter what happened, not all of us were going to be happy. But to be one of those haters who, in Guy’s words (a.k.a. Taylor Swift’s words) were gonna hate, hate, hate, hate, hate when it’s not going to change anything, is unnecessary. There’s a difference between voicing your opinion and just being mean. 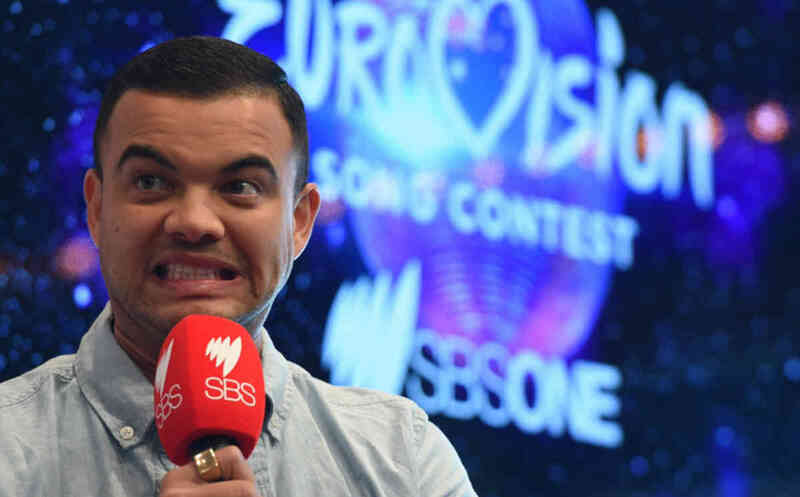 Would Guy Sebastian be my ultimate pick to represent us? No. But as it stands, we will be represented by someone credible, talented, current and versatile, who’s in it for the right reasons. And I reckon that’s quite a coup on behalf of SBS and Blink TV. With the March 16 submission deadline approaching, we’re sure to hear the Australian entry in the near future. That’s when I hope fans will toe the line between voicing their opinion and respecting the opinions of those who disagree with them. I also hope that when it’s go time, Guy can defy the negative expectations and give Australia a performance – and result – to be proud of. Aaaaaand rant over! Now I’m turning my attention to some controversy of a different kind, which came from an unlikely source – Unser Song Für Österreich. I swear, Belarus must be horrified that they’re no longer the perpetrators of the most scandalous NF in Europe. Germany’s final came to an end on Thursday night with wildcard entrant Ann Sophie and Black Smoke taking out the top prize. Of course, that was after initial winner Andreas Kümmert shocked everyone watching, hosting and participating in the show by refusing to be crowned champ and handing the title over to her instead. How do you say ‘Oh, the awkwardness!’ in German? What’s the betting this was all an elaborate plan to have physical contact with Ann Sophie? If you want to relive the cringe-fest as it unfolded, you can do so here (with English subtitles). While you’re doing that, you might wonder why Andreas decided to enter USFO in the first place. Did he not think he had a chance of winning? Was he always intending to say thanks, but no thanks (or danke, but nein danke) if it came to that, or did it suddenly occur to him that he wasn’t ready for Eurovision when it DID come to that? Whatever the reason, he’s tossed Ann Sophie a massive bag of mixed feelings, I’m guessing. It’s like Andreas was Miss Universe (if you can picture him in an evening gown with a plunging neckline) and Ann was runner-up, only for her to nab the crown when Andreas dethroned himself on the grounds of not feeling universe-y enough. She’d be thrilled to have it on her head, but she’d always know that she hadn’t been the judges’ first choice. You’ve got to feel sorry for her, having been put into a position like that. Still, she will be taking the short trip to Vienna – as will Black Smoke. It’s the only USFO song I’ve listened to at this point, and while it’s not an indication of Germany being back at their Raab-driven best, it has a lot of pros. It’s not a ballad (which has turned out to be a major plus this year); it’s a well-crafted pop song that could be on the radio pretty much anywhere right now; and it has a stylish and confident performer in Ann Sophie. With a bit of work on nailing her choruses, she’ll do just fine in May. I don’t think she’s got the goods to get Germany back on the left side of the scoreboard, but she could well outdo Elaiza’s 18th place with a song that has greater mass appeal than Is It Right? That’s assuming Andreas doesn’t change his mind and demand his winning title back. You heard it here first! Sweden’s second chance round is ready to roll + the AC poll results revealed! Week 5 of Melfest has arrived right on schedule, which means nobody lost the stage as it was being carted cross-country. Helsingborg is playing host to this year’s Andra Chansen round with a difference. Instead of two songs fighting two battles each to win their way into the final, there’ll be four qualifiers tonight. Each must win just one duel to get the golden ticket they’ve been hoping for since being relegated to AC in their respective semis. Let’s cut to the chase and review/predict those head-to-head musical fistfights, shall we? Remember, the predictions are yours and mine. Thanks again to all of y’all who voted in the polls. WHO I WANT TO WIN: This is a tough one. I want to say Linus, but he lacks the vocal power and confidence that Andreas has in spades. Both songs are reasonably derivative, but catchy and well-staged. Hmm…I’m going to have to go with Andreas, based on the quality of the whole package. WHO WILL WIN: With 73% of your votes, Linus. So I guess I’m in the minority, then! WHO I WANT TO WIN: Hasse brings some old-fashioned fun to the proceedings, but it’s hard to bypass Kristin’s impeccable and powerful vocal performance. If she goes to the final, she’ll have Jessica Andersson quaking in her stilettos for sure. WHO WILL WIN: 76% of you say it will be Kristin. Look out, Jessica. WHO I WANT TO WIN: Hello Hi is my guilty pleasure of the year, but there is something about those three wig-wearing, pastel-clad dollies that irritates me. Dinah’s song is the equally dance-driven, but more sophisticated fighter in this battle, so I hope she takes this one out. WHO WILL WIN: 71% of you believe Dinah will do it, and leave Dolly Style in her dust. WHO I WANT TO WIN: I was rooting for both of these in their separate semis, but now they’re butting heads, it’s Behrang, Victor, and apparently Malena Ernmann all the way. The addition of Malena seems like a random and slightly desperate vote-pulling tactic, but if it works, I won’t be complaining. WHO WILL WIN: This was a close call, but edging ahead with 57% was Behrang and Victor. So, to sum up, together we’re predicting that Linus, Kristin, Dinah and Behrang/Victor will progress from AC direkt til final. I’d be fairly happy with that outcome! That’s it for another Saturday-night ramble, folks. I’ll leave you to your NF-viewing preparations as I undertake mine (they mostly involve pre-event napping…it’s hard work, but somebody has to do it). Let me know what you think of all things Australia, Germany and Sweden down below – and your thoughts on anything else Eurovisual you’ve been dying to get off your chest. Just think of me as your official ESC therapist. Seriously, I’ve put it on my résumé and I’d really like it to be true. Posted on March 7, 2015, in Eurovision 2015, Melodifestivalen and tagged Andra Chansen, Andreas Kummert, Ann Sophie, Australia, Eurovision 2015, Guy Sebastian, Melodifestivalen, Vienna. Bookmark the permalink. 10 Comments. Great article about Australia’s entrant Jaz. As a very keen fan of Guy’s I have had a tough time dealing with all the negativity surrounding his selection. I hadn’t wanted Guy to be picked, as I was worried about the reaction, but I never thought for one minute it would be so vicious. Some tweets and comments on music sites, and even some articles written by so called music experts were nothing more than hate fests. Wonderful to see a Eurovision fan who can treat Guy with the respect he deserves, even though he is not your ideal selection. I just hope he doesn’t come out of this dead set last with zero points, which is possible with the voting system. I can only imagine what will happen then. No matter who had been picked, they would have deserved respect to some extent, and we’ve found ourselves with someone credible who shouldn’t really have to earn it (I don’t think the ‘reality TV tag’ should diminish that, especially since Guy has shaken it off). I get that he’s not everyone’s cup of tea; not everyone’s going to like his song or the sound of his voice. But that goes for every single artist, not just in the ESC but on the planet! I wouldn’t mind so much if the only insults I’d stumbled upon re: the choice were that Guy was a ‘bland’ or ‘vanilla’ one, but like you, I’ve seen a lot worse. The most irritating thing is, if we went back in time and somehow swapped Guy out for, say, Dami Im or Delta Goodrem, for instance, the exact same thing would be happening. Perhaps the insults would be hurled from different directions, but they’d still exist. I think Eurovision fans have a reasonable grasp of the fact that you have to learn to respect others’ preferences and tastes – you kind of need to if you follow the contest! But maybe that grasp isn’t 100% as good as it could be. And as for non-fans chipping their two cents in…well, they have even further to go. Last with zero would be really awful! I’m sure it won’t come to that though. There’s so many factors that could affect how Guy does – the song quality (obviously), the staging, how he sounds and performs, crowd and camera engagement, who he’s sandwiched between in the running order…blah blah blah. Only time will tell what the outcome’s going to be, but I think we should all give the man a chance to aim high! All things Swedish, Australian, and German in that order today for you Jaz! 12 Groupie by Samir and Viktor: anything with a selfie AND a selfie stick? No dice boys. It’s a mild Scandinavian version of Jedward. I thought (and wanted) Behrang and Victor would have easily beat them in the duel. 11 Sting by Eric Saade: disappointment abounded within a minute of hearing this song. Did a 12 yr old write this? 10 Can’t Hurt Me Now by Jessican Andersson: oh, but you hurt me with this JA. You are capable of so much more than a wordy, clingy ballad that sounds like vaguely trying to capitalize on Undo. Molly PH is at home seething. 09 Building It Up by JTR: I like the occasional mega hit by a boy band otherwise, overall, they don’t do much for me. It’s catchy enough. The one that plays the guitar is rather cute. A bit of a shocker that they went direct to the final. Semi #4 was the best and I felt bad for acts like Midnight Boy and Caroline Wennergren. 08 Jar ar fri by Jon Henrik: this will probably finish higher than my ranking. I don’t find much substance to the lyrics otherwise everything else is semi-enchanting. 07 Guld och Grona Skogar by Hasse: I’d put Kristin Amparo here too if she had won the duel. 06 Don’t Stop by Isa: light schlager, enjoyable for a few listens. 05 Forever Starts Today by Linus: dropped a bit in my rankings, carried by Linus’s vocals and fire drums. 04 Mot Mig i Gama stan by Magnus Carlsson: I’ve always loved his voice. It’s almost the epitome of what I like to hear from a male vocal. This is why he’ll probably always make my top 5 even if he was singing a grocery list. 02 Heroes by Mans Z: Initially distracted by the imagery and I had to listen to the lyric video to better appreciate the song. Sometimes stage affects, while novel, are too cutesy for me. He puts Saade’s Sting to shame. Maybe he can show Eric how to put on big boy pants? With all the Warriors and likely Heroes going to ESC this year, I kind of wish we’d have a song or two about Negotiators or Cowards, just sayin’. 01 Don’t Stop Believing by Mariette: a big YES from the first listen. The chorus is slightly repetitive, admittedly, but I love the dark-ish electro presentation with just the right amount of wind machine. Bonus points because now when I think of the song title that damned Journey number won’t come to mind. I’ll miss the final live in favor of Norway’s MPG. It’ll be less glittery already knowing that Sanna won’t be hosting (or being genuinely charming) anything the following week. About Guy: I’m unfit to judge as a) not current on the Australian music scene and b) I might have heard his name only once or twice before. Battle Scars is not familiar to me (but thanks for the video link). It sounds like he’s capable of providing a good entry and I’m eager to see what he has to offer. Osterreich: Drama indeed in the NF’s on back to back weekends. Agree with everything you wrote about Black Smoke. That voice though…it’s so nasally to my ears that it dampens the smokey essence for me. Of the currently announced ESC participants Slovenia and Ireland have distinguished themselves for me. Still have few more new additions to catch too. It’s weird to have Ireland jump immediately to mind yet a piano-lady ballad usually works on me. Can I be completely superficial for a moment and say that Molly Sterling looks like the cute disheveled Irish cousin of Margaret Berger too? Maraaya (how many a’s does one need in a name?) and her wicked air violin playing dancer (I want that job) are almost perfection. Just get the dress to match the headphones or vice-versa! Thanks for sticking to that precise order – I am at the ready to trash all comments made by people who don’t!! I do wish your prediction for Melfest’s fourth duel had come true. I guess Samir & Viktor’s fan base is too mahusive. Plus, Behrang/Victor’s addition of Malena Ernmann reeked of desperation, I must admit…though as someone who ain’t Ms Ernmann’s biggest fan, I wouldn’t have been happy if she was featured from the beginning. I am obsessed with ‘DRVIF’ as it was performed in the first semi, and I really wish we were going to see it in the final. Having said that, I like ‘Groupie’ more than you do! I’m not sure how the international juries will respond to it (though the selfie stick and English title ensures not a lot is lost in translation) but the youth vote in the final will probably be too divided for S & V to trouble the top of the scoreboard. I hope to heck a 12-year-old wasn’t responsible for ‘Sting’ with some of the lyrical content! A little risque but a lot dumb, to be honest. Neither ‘Manboy’ nor ‘Popular’ (Saade seems to have a thing for one-word titles) were lyrically intelligent, but this is just a whole new level of facepalm. Of course, that’s irrelevant if the singer’s hot enough and the song’s catchy enough. Apparently. I can see it now…Magnus Carlsson, making his 769th Melfest appearance with ‘Singing My Grocery List (And Hoping I Don’t Forget The Eggs Like Last Time)’. DIREKT TIL FINAL!! I hope you don’t mind, but I may have to steal your idea and add Dinah Nah to my own workout playlist. Loving the energy and beat-drop there. I also want to dye my hair pink like hers, but somehow I don’t think I could pull it off. “Maybe he can show Eric how to put on big boy pants?” Well, if he can’t, I’m more than happy to do it 😉 Seriously though, Team Måns all the way, particularly when compared with Eric. I feel like they’re both trying really hard to win, but Eric’s gone too far, and his whole performance package is artificial and hollow. MZW’s has more authenticity, and with that staging, it’s a package we haven’t seen before. Mariette’s missing something for me, but I am glad she went direkt. Ann Sophie may need an intense nose-blowing session pre-Eurovision! I won’t mind the nasaliness too much if she can perfect the choruses. Don’t give Maraaya any ideas! They might rock up to the Stadthalle as ‘Maraaaaaaaaaaaaaaaya’. I don’t really get her headphones. Apparently there’s an explanation – I just haven’t heard it. But I suppose if there was some costume/headgear coordination going on, that’d be better. first of all and most importantly, I’m sooo happy (*insert Pharell Williams smash hit here*) about the EBU decision that we have Australia in the contest this year. I think this is just awesome! I can’t understand people talking about the contest getting too long because of one more song; isn’t that ridiculous?! In my Eurovision universe the grand final can’t be long enough. IMO it could last for days, months or … let’s say ages ;-)! That was such a great anniversary surprise that Jan Ola Sand deserves an award for this, truly! And you should not underestimate that he is already a well-known artist in quite a few European countries such as the Scandinavian countries, the Netherlands, Belgium, France, Germany and of course the UK. That could help a lot! According to the Eurovision game it is not of importance what Australians think about Guy Sebastian ( cause you can’t vote for your own country! ), but what other countries think about his song and performance. I’m sure he will do us all proud on Eurovision stage! at first I must state that I was not a huge fan of Ann-Sophie ever since her wildcard concert win in Hamburg. So it is not surprising that “Jump the gun” did not belong to my favourite list of songs. I wanted and voted for “Shine, shine, shine” by Mrs. Greenbird and Frozen silence” by Fahrenhaidt in the first round. Unfortunately my favourite acts did not make it to round 2. So I had to watch out for a new favourite song, that was “Heart of stone” by Andreas Kümmert! I dialed my fingers to the bone for this song, and it finally won with about 80% of the votes. You can imagine my disappointment when Adreas rejected his Eurovision ticket to Vienna :-(((! IMO he had the best song in the German NF this year and I feel so sorry for him that it seems that the Eurovision spotlights are a too heavy challenge for him with all the circus like press conferences, dress rehearsals and social media PR around it. As he said himself in the NF, an artist who just sees himself as a little singer and makes himself small, smaller than he obviously is, is probably not the right artist for the Eurovision stage. I am really disappointed about this outcome, because all that is left is just “Black smoke” which is by far better than “Jump the gun”, but not good enough for a top placement. I see her, same as Elaiza last year, on a place between 15 and 20 in the Grand Final. The only thing that comforts me is that the songs from france and the UK are even worse, so that we hopefully won’t come in last!? 1. Mans Zelmerlöw – Heroes: I’m sure he will win this year because of the whole package! 2. Mariette – Don’t stop believing: I would love to see this winning too, because it’s an awesome song! 3. Magnus Carlsson – Möt mig I Gamla stan: he is trying so hard for so many years now that he deserves a win, too. And it is his best song ever performed on MF stage, IMO! 4. Jon Henrik Fjällgren – Jag är fri: I feel this would do well on Eurovision stage because it’s not the usual pop entry we expect from Sweden. It is special and a strong performance by Jon! 5. Jessica Andersson – Can’t hurt me now: too many ballads, so little time! I like Jessica Andersson and her song, but it would not stand out in the contest. 6. Eric Saade – Sting: no victory this time, if you ask me! But maybe higher than I ranked it. The song simply is just average and a strong dancing performance is not everything. 7. Linus Svenning – Forever starts today: with Linus sounding this year like “The Lion King”, he is not that authentic as he was last year. I think it’s a good song, but it doesn’t fit him so much, IMO! 8. JTR – Building it up: I think the guys needed a stronger song! This one is not special enough to stand out in the contest. And it’s something that would not surprise, but would be expected from Sweden. A “no” from me! 9. Dinah Nah – Make me (LaLaLa): this is sooo retro 90’s that we could hear Dr. Alban rapping to it! It is big fun but not THE winning song. 10. Isa – Don’t stop: this is the usual suspect in my eyes! I hope there aren’t too many kids in Sweden who vote for this. Seeing this winning would be a desaster for me! 11. Samir & Viktor: awful, just awful! No further comment! 12. Hasse Andersson – Guld och gröna skogar: I thought carnival season is already over for this year?! Actually, I cannot imagine this song winning on Saturday, but with Finland on view you’ll never know ;-). Protest voting is also a (silly) part of the Eurovision! Well, I’m happy you’re happy about Australia’s ESC invasion! I think most fans who were mad have stopped being mad now we’ve got an artist to criticise. Plus, having an artist means it’s 100% legit and not an early April Fool’s joke, so there’s not much point being angry any more. I also believe Guy’s got the whole package to at LEAST not be an embarrassment. His song has to drop within the next week, so not long now!! It sounds like Guy’s actually more well-known abroad than I thought, so that could lend a helping hand, as you say. I know Australia isn’t responsible for how well he does – I’d just like to see more of us getting behind him and sending him off knowing he’s got support back home. And there better be a ton of Aussie flags waving in the arena! I know a bunch of Australians who are heading to Vienna, so I’ll give them a piece of my mind if I don’t see them on TV being super patriotic!! I hope you’re right about this year’s Melfest winner! I’m very curious to see how the rest of the results pan out, and how the international juries react to some of the songs (Jon Henrik’s in particular…I expect the non-Swedish points to drag him down a bit). I definitely want to see MZW in Vienna, but I will also be cheering JTR on like mad. It’s not often there’s a bit of Australia in Melodifestivalen! And I hope Jessica Andersson finishes outside of the top 5, because she is Bland City this year! She looks amazing in that gold dress and sings as well as she always does, but…the fact that ‘Can’t Hurt Me Now’ went direkt still irritates me. I miss Molly! I’ve commented elsewhere on the fact that (admittedly, in a slightly different context, namely papal elections), ‘black smoke’ is Vatican-ese for ‘We don’t quite have a winner.’ How ironic! I would have loved Andreas to have gone to Vienna (as would most of the USFÖ-voting public, it seems). The ESC desperately needs more serious, hands-on ‘little singers’ like him. An opportunity missed, from many perspectives. But: Ann Sophie now needs to step up and take some of Andreas’s passion and spirit with her to Austria. Let’s hope she does! And so, to the Melfest – and what a fascinating little showdown! 12. ’Groupie’: Samir & Viktor. Perhaps the only redeeming feature of this song is that it can be sung, without (much) dischord, in sync with the (N)MGP finalist “En godt stekt pizza”. (The latter is, however, a much better song, right? — “Tre, to, en, DANS!!!’). 11. ‘Can’t hurt me now’: Jessica Andersson. Karola-esque, but forgettable. 9. ‘Don’t stop believing’: Mariette. To my ear, it’s ‘Euphoria’ meets ‘Undo my sad’ (which I suppose is thematically not inconsistent), but just doesn’t grab me like those two songs did. 8. ‘Sting’: Eric Saade. Ahh, you won’t be popular enough this year, Eric, sorry. 7. ‘Forever starts today’: Linus Svenning. Yes, it’s Lion-King-esque, and also very much echoes the ESC14 half-time song sung by Emmelie de Forest (‘Rainmaker’). Maybe a few too many echoes. 6. ‘Building it up’: JTR. Sorry Jaz, but DO THE MATH — Only twice has a song with a present participle in the title won the ESC final: 1981, and 2011 – thirty years apart! Just saying … is it really worth the risk? But … oi, oi, oi! 5. ‘Heroes’: Måns Zelmerlöw. The chorus reminds me of The Rhythm of the Night from the early 1990s, which is fine. But I too find the animation a bit distracting. 4. ‘Don’t Stop’: Isa. This year I’m starting to prefer things with a bit of bop over durges (unless it’s a REALLY good durge!). I like her lovely little bow to the 1984 Swedish ESC winners with those golden shoes. But will she ‘gild up’ her dark roots in time for the final, or is that a trendy new ‘look’? 3. Jag är fri (Manne Liem Frije): Jon Henrik Fjällgren. The last time some tried to do a ‘joik’ at an ESC final, it all ended in tears. (And some – NOT yours truly, mind you — would say tears of derisive laughter. Yes, hard to forget Sverre Kjelsberg and Mattis Hætta with their completely non-political Sámiid Ædnan for Norway in 1980 … Wha? Another 1980s reference!? What is it with this year’s MF and the ‘80s?) Anyhoo, a joik’s worth another try after 35 years, I suppose. 2. ‘Make me (la la la)’: Dinah Nah. In this instance, two negatives (‘nah nah’) make a positive. And even though I do prefer my non-lexical vocables to be diphthongs, I’m happy to put up with some monophthongs in the chorus here, just because with so many LLBs floating around already, the wider comp really needs an injection of something with a bit of pace and OOMPH! Now, if only she could suspend the laws of physics and squoosh herself into Isa’s jeans (once Isa has vacated them, of course), I’m sure that’d really make a lot of viewers ‘la la la’ (if not ‘ga ga ga’). 1. ‘Möt mig i Gamla stan’: Magnus Carlsson. To my ear this has a whiff of ‘Get You’ about it (Alexej Vorobjov, Russia, 2011). It can’t win, but I just kinda like it, also because of schlager-esque mainstays like a good, old key change. And I do love Stockholm’s Gamla stan! So, there we go. May the best song win — and hopefully not an LLB. Are we not going to do the (N)MGP favourites list thing? Another night maybe. (See? – You really have turned me into an NF addict). Talking Melfest, I must admit to being a fan of both ‘Groupie’ and ‘En Godt Stekt Pizza’. Not that I want either of them to win in their respective countries or anything. If I had to pick one, I’d go with Samir & Viktor, so you may have Staysman & Lazz. Yee-haw! I agree on ‘Don’t Stop Believing’. It’s good, but it’s missing something for me. Perhaps Eric Saade prepared his own funeral casket by entering a song with the lyric ‘it’s gonna sting so bad.’ He does seem to have a knack for making true predictions in his music (I bet a lot of people did call him manboy in 2010, and he was popular enough to win and then nab bronze in the ESC in 2011). I think he may find that his result stings quite badly this evening, seeing as he was expecting to win this and Eurovision. Lower your expectations, my man. Isa can keep her dark roots – I want to copy her look from head to toe! Or should I say, golden toe. Would I be correct in recalling Norway’s 1980 joik as something that went ‘hey yo lorli lorli lor lorli lor…’ or something like that? If so, give me Jon Henrik any day. As someone a little skeptical about white ¾ pants on anyone, I’d have to agree that a change of pants might benefit Dinah. But whether or not that occurs, I hope she does best of all the AC qualifiers. I’ve tipped her to do so! If Måns wins, only to pull an Andreas (that’s officially a ‘thing’ after this NF season) and refuse his golden ticket (manufactured from the same material as Isa’s sneakers, presumably) Dinah’s the replacement I’d want. With Jessica Andersson’s LLB being the only one in the field, her votes won’t be eaten up by anyone else. But it’s such a poor man’s ‘Undo’, surely Sweden and the juries will see through it? I don’t think we’re in any danger of this example of dirge taking the prize. Feel free to hit me with your NMGP faves any time, Ali. I’m predicting that in my post today, which may already be up by the time you see this. I have no regrets about having a hand in your burgeoning NF obsession! PS – Merci for your aesthetically-themed compliment! Although I’m a bit concerned about the Daz/Jaz comparison. Does it mean I have to start wearing a track suit and hanging out with school girls (both of those things would probably be less dodgy if I did them). BTW: Quite understandable that you’d think I meant ‘dirge’ when I wrote ‘durge’, so thanks for the correction. – “Durge” (Star Wars): A male Gen’Dai bounty hunter who was active in the galaxy for almost two thousand years. Able to survive several near-death situations due to his Gen’Dai heritage and enhanced battle armor [sic], he fought in several wars and collected a multitude of bounties. Over the centuries, Durge acquired a deep distaste for Mandalorians, and even killed their leader at one point. As a result of both personal tragedy and torture, he became increasingly mentally unstable. Tempted by the idea of killing Republic clone troopers, clones of the Mandalorian Jango Fett, Durge was recruited into the Confederacy of Independent Systems during the Clone Wars. Given the rank of commander, he performed several key missions for Count Dooku himself, and led droid forces in combat on more than one occasion. Near the end of the war, he was launched, and Force-pushed into a star near Maramere by Anakin Skywalker where he was truly killed (from Wookieepedia). – “durge”: The act of stealthily hitting a person in the back of the knee, causing the joint to rapidly unlock, sending them to the ground (from Urban dictionary). Still can’t quite fathom that Dinah came last. In that case, get your school uniform on, Ali. I’ll get the desks stuffed full of flags ready, and iron my tracksuit. Thanks for that durge/dirge clarification. You learn something new every day! As someone who predicted Dinah to be the Andra Chansen-qualifying success of Melfest 2015, I can’t fathom her last place either! I’m taking solace in JTR managing to beat both Dinah and Jessica Andersson (whose name I shall henceforth be pronouncing as ‘Yessica Ander-SSON’). I didn’t see that coming. Aussie Aussie Aussie (Swedes), oi oi oi!! !